Chennai is a place of tradition, music & dance and beautiful beaches. The weather of this place is tropical yet evenings are calm and soothing. Visiting Chennai will provide you the sensation of delight. We, HOTEL SHRI SAI MURLI, also a Tour Operator offers you a reasonable package as a chance to explore the south core of India. Surrounded by the waves of sea, this place is a must to visit, for all of you. 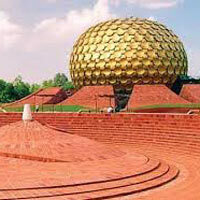 So contact us today and let us plan for you a heavenly journey to the feet of magical India-Chennai. In between, we ensure you complete comfort and ease of travelling.